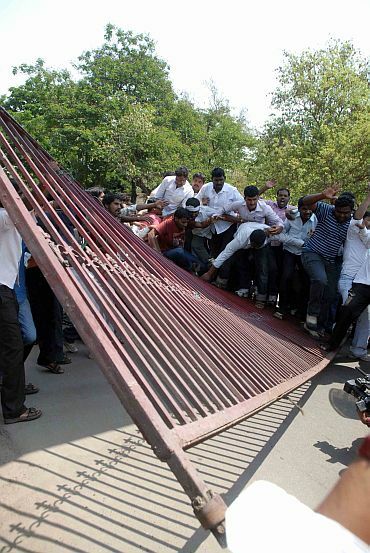 Pro-Telangana protestors' 'Million March' literally paralysed Hyderabad on Thursday. 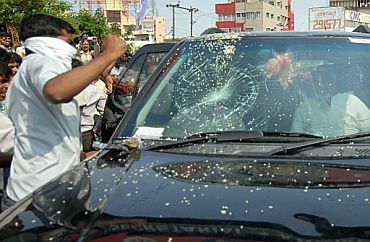 From desecrating statues of Andhra leaders to clashing with the security personnel, the pro-Telangana protestors went on a rampage to press for their demand for a separate state. 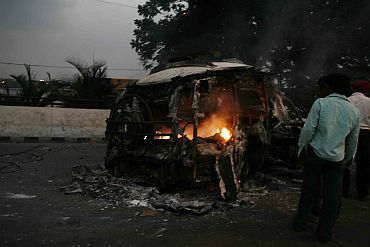 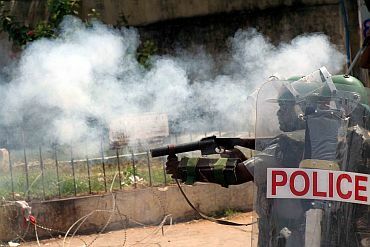 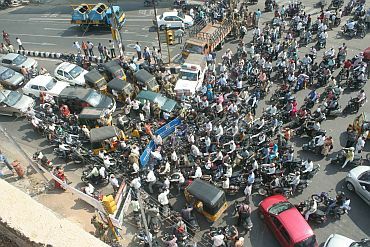 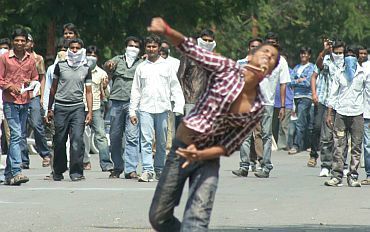 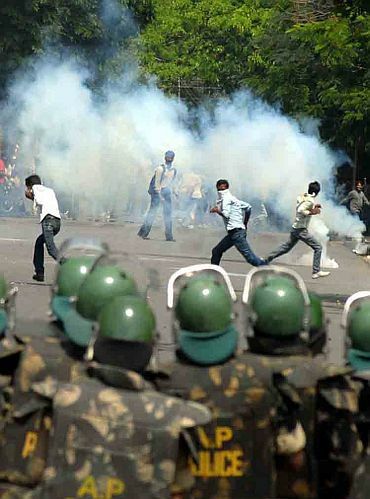 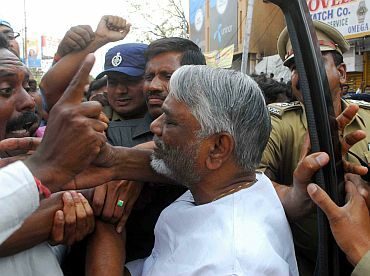 Rediff.com brings pictures of a day when Hyderabad came to a standstill. 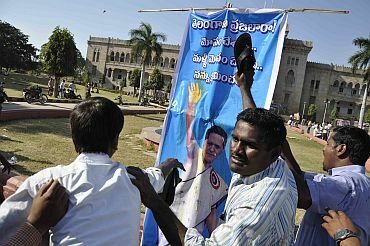 Please click NEXT to see more pictures..
Agitating Telangana Rashtra Samithi activists thrash a poster of Congress chief Sonia Gandhi with chappals for delaying the introduction of the Telangana bill. 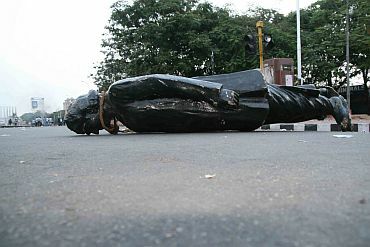 Pro-Telangana protestors desecrate a statue of an Andhra leader at Tank Bund in Hyderabad during the agitation. 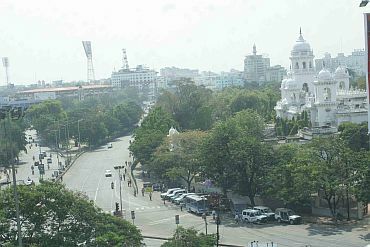 The city of Hyderabad wore a deserted look during the violent pro-Telangana protests. 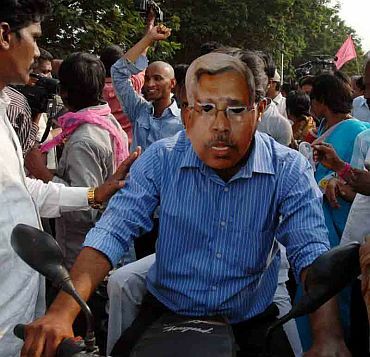 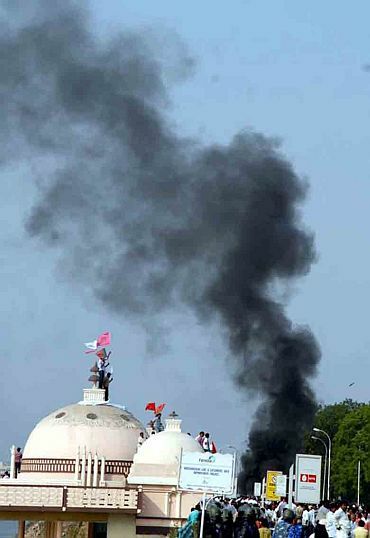 Pro-Telangana protestors set a car on fire during the 'Million March' programme.